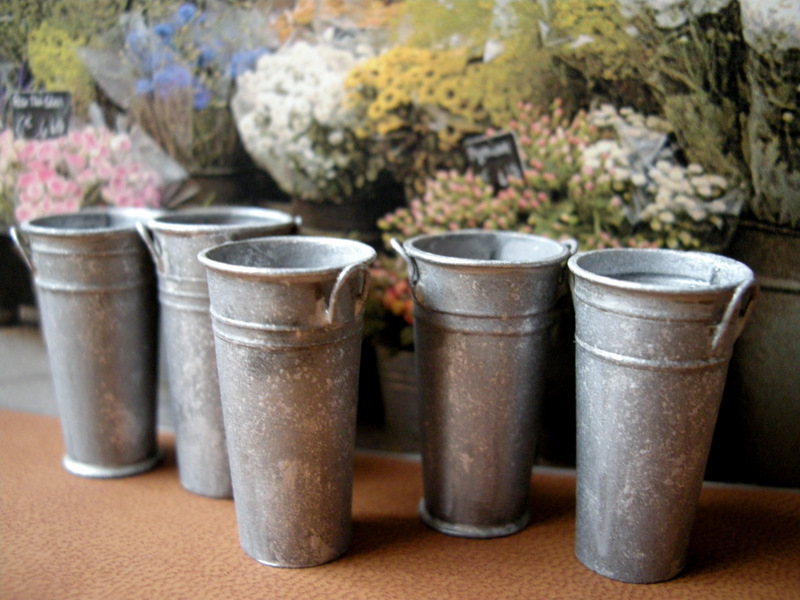 Take an ordinary metal galvanized bucket – and streeetch it tall and thin – and you’ve got yourself a French bucket. Like the French people, French buckets are “artsier” than a standard utilitarian american bucket. Since French buckets are top heavy, they’re not practical for many of the tasks we demand of our buckets. In fact, they’re sort of a show bucket. 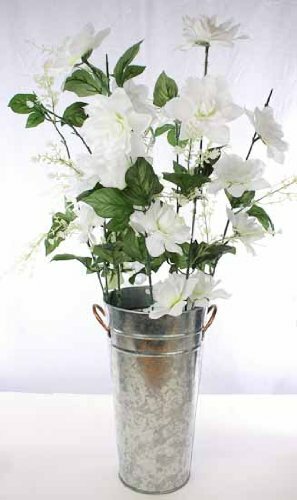 French buckets are mostly employed by florists, who fill them with another french cultural icon – the flower bouquet. I’ve only used a French bucket once – as the world’s biggest tip jar when I ran a little bike path bagel stand. Maybe some of my readers can think up some good specific uses for the taller profile of a French bucket. 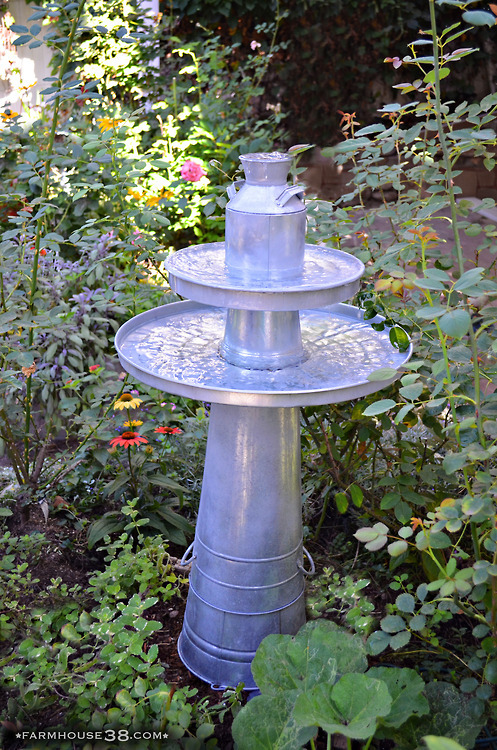 A reader sends in this bucket fountain from Tumblr which incorporates a tall french bucket as the base. I suppose one could put a weight (rocks, sand) in the bottom. I’m also thinking fasten them with a cup holder writ large, or lash or nail them to something vertical, near the rim. They might make good hoppers (like a funnel for pellets or grain) if the bottom was cut out. Or a silly hat, if inverted.